What has the disappearance of Mari Luz Cortes to do with Madeleine McCann? Maybe Metodo 3 can get a new client? “Police in Portugal were last night investigating whether the fiend who snatched a five-year-old girl in Spain also took Madeleine McCann. Says a police source: “Officers are certain they know what happened to Madeleine. 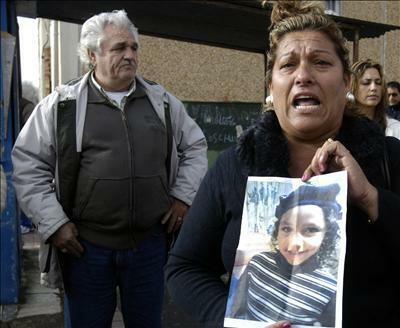 And, despite the situation in Huelva, they don’t believe she was abducted. They are in the loop regarding events in Spain, but mainly to offer assistance in case the culprits escaped to Portugal. Officers are certain they know what happened to Madeleine. There are key differences. Mari disappeared as she walked alone along a public street in daylight. So who has linked the cases? Maddy 2? Another film. A sequel? “Fears were growing last night that the cases were linked and serial kidnapper is on the loose in the region”. Is there any evidence for this? Can the Sun provide details of other missing children that might be linked? Or is fear all? Is the disappearance of Mari Luz Cortes really about the McCanns? Q: Mr Thompson, an article in another newspaper reports that a former BBC news correspondent, Martin Bell, speaking at the BBC Television Centre today, accused the BBC of wasting hundreds of thousands of pounds of taxpayers’ money in their coverage of Madeleine McCann’s disappearance. Mr Bell was particularly scathing of the BBC’s decision to send presenter, Huw Edwards, to Portugal to anchor a news bulletin there and to pay for a helicopter to follow Kate and Gerry McCann’s car as they drove home from East Midlands airport in September. He says – “I am calling it the death of news.” He went on – “It is the stupidification of the news agenda. It is pretty obvious television news has lost its way not just with the McCann case but that has been extreme.” Were you in attendance at this debate, and, if so, how did you react to Mr Bell’s assertions? MT: I didn’t agree with all of Martin’s comments. I thought the Madeleine McCann story was one of legitimate public interest and that, in common with the rest of UK media, we were right to cover it. I also believe that in general our coverage has been proportionate and good. In retrospect, I am not convinced that we should have anchored our news from Portugal – in that respect I agree with Martin. “Is the Madeleine McCann case connected to the case of another missing girl named Mari Luz Cortes? 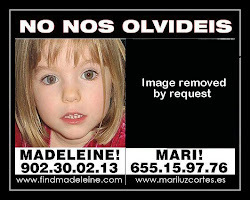 Madeleine went missing on May 3 and has now been missing for 258 days. When she vanished she was just four days short of her fourth birthday. 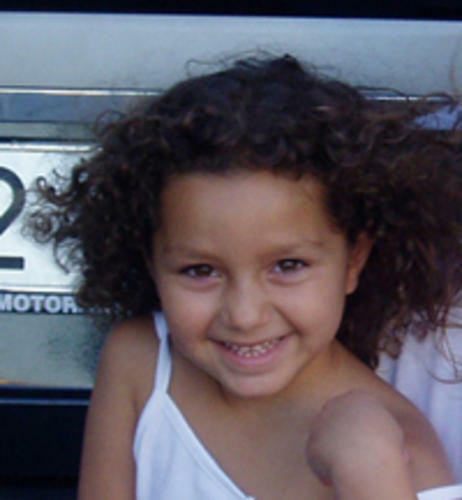 She vanished from the resort of Praia da Luz in the Algarve, Portugal.